Dr Tom Breneman has been practicing dentistry in Brandon, MB for over 45 years. 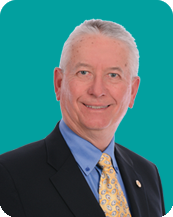 He began as a solo practioner and was a founding partner of West-Man Dental Group. Tom has been actively involved in his profession, serving as president of the Western Manitoba Dental Society, MDA and the CDA. He was also Canadian Trustee for the Pierre Fauchard Academy and is a past Chair of the MDA Peer Review Committee. Tom was the recipient of the MDA President’s Achievement Award and received the Alumni of Distinction Award from the U of Manitoba, Faculty of Dentistry. In 2009 he received the Brandon Chamber of Commerce Business Builder of the Year Award. Dr. Breneman has also been very active in his community, in Kinsmen he served as local President, District Governor and National President. He is a past president of the Brandon University Foundation and chaired two of their major fund raising campaigns. He received an Honorary Doctorate of Science from B.U. in 2008. Tom was an Associate V.P. of Marketing for the Canada Winter Games and Soccer Chair for the Canada Summer Games. Having recently sold his dental practice and now working as an associate Tom appreciates the value that Tier Three brings to valuation and transitioning of a dental practice.